1. Iran is one of the oldest nations in the world, with a history dating back tens of thousands of years. The country’s first great city, Susa, was built on the central plateau around 3200 B.C. 3. 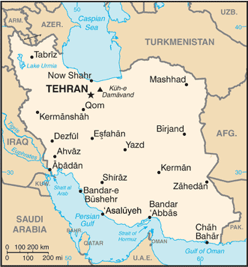 Iran is a republic in Central Asia, sharing a border with seven countries: Afghanistan, Armenia, Azerbaijan, Pakistan, Iraq, Turkey, and Turkmenistan. 4. 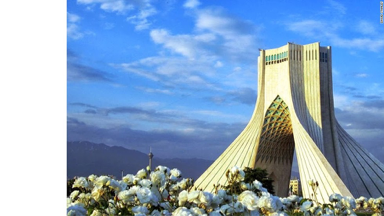 It has been officially known as the Islamic Republic of Iran since the overthrow of the Shah in 1979. 5.Iran is a Shiite Muslim country, but the majority of its people are Persian, not Arab. 6. Iran’s capital is Tehran. 7. Iran has a population of 80,840,713 (median age 28) and covers an area that is 636,372 square miles (1,648,195 square kilometers), slightly smaller than Alaksa. 8. Official language of instruction in Iran is Farsi/Persian. English and/or French are taught in most private schools. 9. According to 2015 estimates, the literacy rates of total population age 15 and over is 86.8% of which 92.1% are male and 82.5% are female. 10. According to 2013 reports, Iran spends 3.7 of GDP on education. 11. Starting with 7th grade, English is taught as a second language in all public schools and is compulsory through the secondary level years. 12. 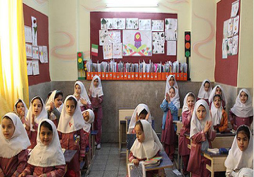 Primary school is called “Dabestan” and includes grades 1 to 5 (ages 6 to 11). At the end of the 5th year, students take a nation-wide exam which they must pass in order to continue to the next cycle. 13. Middle school is called Rahnamaei also known as Lower Secondary School (Guidance) and includes grades 6 to 8 (ages 11 to 14). At the end of the 3rd year of middle school, students take a region-wide exam administered by the local provisional board of education which they must pass in order to continue to the next cycle. 14. 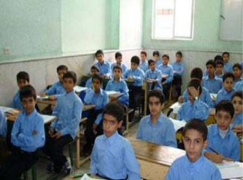 Secondary school is called Dabirestan and includes grades 9 to 12 (ages 14 to 17). The 4th year of grade 12 includes a college-preparatory year known as Pish-daneshgahi. In dabirestan, students choose subjects from either one of two tracks: 1) academic/general track that includes a] physics-mathematics, b] socio-economics, c] literature and culture, and d] experimental sciences; or 2) technical/vocational track in such areas as business and agriculture. On completion of 3 years of study (Grade 11), students receive their diploma before they are determined eligible to continue onto the 12th year (Grade 12) pish-daneshgahi studies. 15. Pre-university or Pish-Daneshgahi is the 4th year extension (Grade 12) to secondary school and last one year. It is an intensive year of study intended to prepare students for the national university entrance examination known as the Concour. 16. 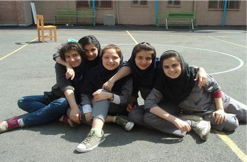 The Concour determines students’ chances to enter public and some private universities in Iran. It is a very challenging examination and only a minority of students who take it are successful in passing. 17. 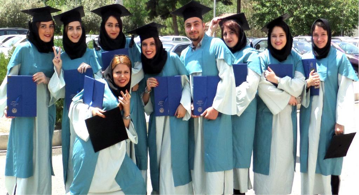 At the higher education level, Iran has private, public and state affiliated universities. 18. Universities, institutes of technology, medical schools, and community colleges make up the higher education sector. 19. Except for medical schools, all state-run universities are under the direct supervision of the Iranian Ministry of Science, Research and Technology. Medical schools are under the supervision of the Ministry of Health, Treatment, and Medical Education. 20. Currently, there are over 50 public universities and over 40 public institutions specializing in medical study and 200 private postsecondary institutions in Iran. 21. Tuition at public universities is free. 22. Private institutions charge fees. 23. The largest private institution in Iran is Islamic Azad University. 24. Women make up more than 60 percent of the college population in Iran but less than 20 percent of the working population. 25. Out of 1.176 million people registered for higher education in the Iranian academic year of 2012-2013, women accounted for 522,248 (44.38 percent) while men’s share stood at 654,593 (55.62 percent). 26.The number of female university students also increased by almost twofold from 1,231,035 in the Iranian academic year of 2005-2006 to 2,106,639 in 2012-2013. 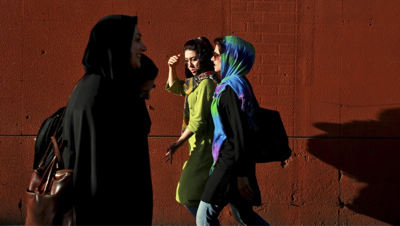 Photo Credit: Ebrahim Norrozi/AP – Iranian women, shown here in downtown Tehran, are among groups in the country pushing for social and economic change. 27. Distance learning degree programs are provided mainly by the University of Payam-e-Hour. • Doctora (Doctorate) degree – 3-year program; requires a master’s (Karshenasi) degree for admission and is awarded on completion of 60 semester units and passing a comprehensive exam before entering the research phase of the program, during which they prepare and defend their dissertation. • Specialized Doctorates – Degrees in dentistry, medicine, pharmacy, veterinary medicine are awarded after 6 years of study and a thesis and require completion of the pre-university year for admission. 29. Grading system at primary through university is based on a 0-20 scale. At the primary, secondary level, and undergraduate levels, an average grade of 10 is required for promotion to the next academic grade. At the graduate level the minimum average grade is 12 and in doctoral programs the minimum average is 14. 30. Every year about 150,000 highly talented Iranians emigrate in what the International Monetary Fund calls the highest brain drain in the world. When I retired as a language teacher and Chair of the Department at the University of Northern Iowa Laboratory School (USA), as a Webmaster I then developed 29 language websites for students and their teachers. I ask that you pass the information below on to your language department to share with your Persian/Farsi students and staff. Persian is the most recent addition. 141 enjoyable language learning activities provides Persian/Farsi instructors with a wide variety of “fun things to do” in class to build proficiency. Don’t miss it as it is a teacher preferred site. من امیدوارم که از شما بشنوم متشکرم.